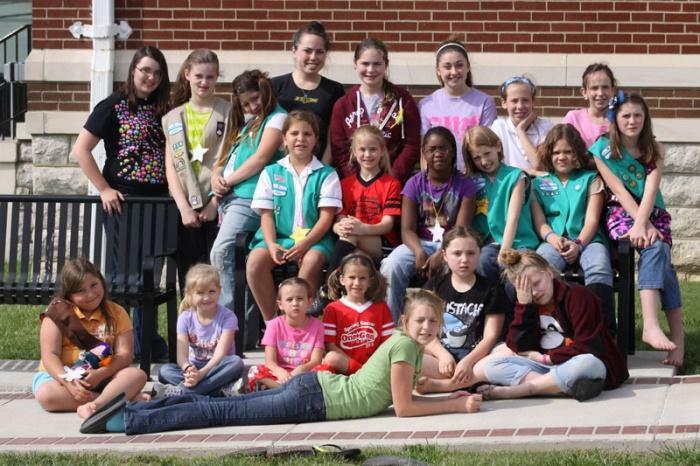 Members of several area girls scout troops gathered on the lawn of the Cannon County Courthouse to bury a time capsule Saturday afternoon, April 14. The capsule contained letters and other items specific to the particular troop. The time capsule will be recovered in 2037 – 25 years from the time it was buried.